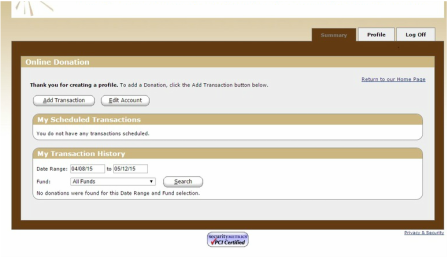 How to create an account for Simply Giving. Step 3. Fill out information. Create profile. 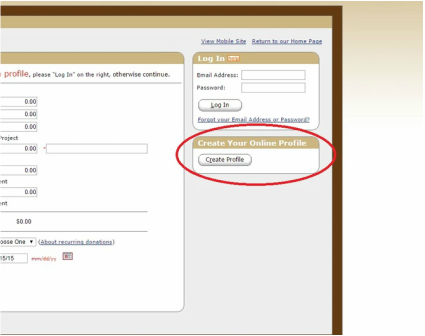 Create a profile. 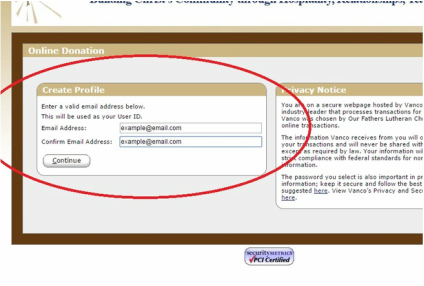 Type in email address, than again to confirm. This will become your User ID. Please read privacy notice. File out required boxes. Once you have created a password. Select "Create Profile". 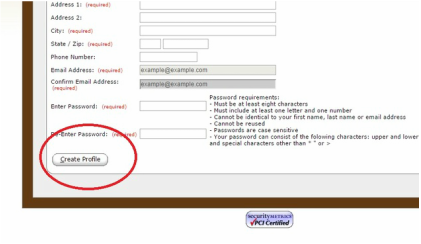 You will receive an email once you create your profile. You have created your Simply Giving account. For more help, contact the OFLC office.